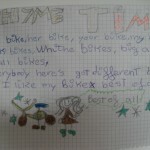 This is a rhyme we have been working on during last English lessons in 4th grade. It shows how we use possessives. 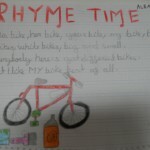 We wrote the rhyme and drew a picture of it. We love bikes! His bike, her bike, your bike, my bike. But I like my bike best of all! 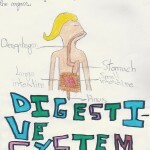 Students in fourth grade studied a lot about the human body. 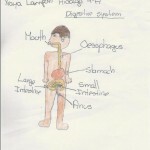 They learnt how to draw the different organs we have in our body and to place them in the correct place of a human figure. 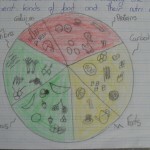 In 4th grade, we learnt a lot of things about food. 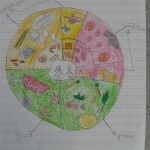 We know how to make a healthy diet because we know which food is healthy or unhealthy. 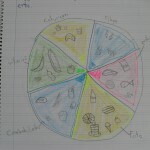 The different groups of food are carbohydrates, fats, proteins and vitamins.